>I’ve tried a few diapers with snaps and velcro is still my preference. I like that snap diapers seem to look new longer, no snagging & diaper chaining either. I also hear that although you may have to replace a snap or two at some point, you will have to replace velcro, no question. However, I think I could handle sewing some velcro on, I don’t have a snap press or pliers to do snaps though! People also say snaps are harder for their toddler streaker wannabe to undo. 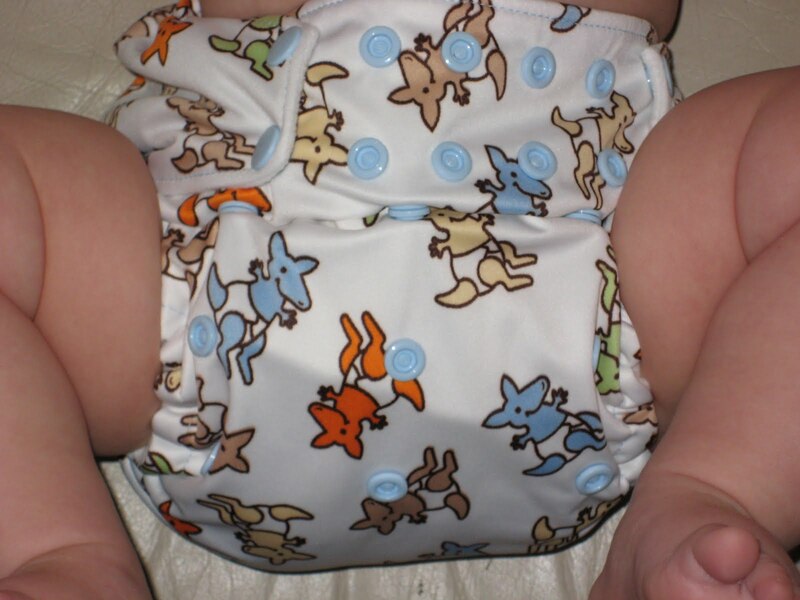 This Rumparooz diaper has a cute kangaroo print (my daughter still thinks they are dinosaurs!) and I chose the snap option. It’s fine. Other than the snaps, it’s exactly like the other Rumprooz I have. The snaps do take an extra few seconds to do, and you can’t get quite the custom fit that you can with velcro. For now, I think I’d continue to choose velcro over snaps. Not sure if that will change later! I know this post is old but I just got a Rumparooz in the Firetruck print. I got GUC snap closure OS pocket off EBay. The inner gusset elastics are pretty stretched out but the outer gusset elastics are good as new. The fit is decent on my 25-pound-ish 21-month-old. I find it to be a bit wide in the crotch. Absorbancy is great (just one insert). 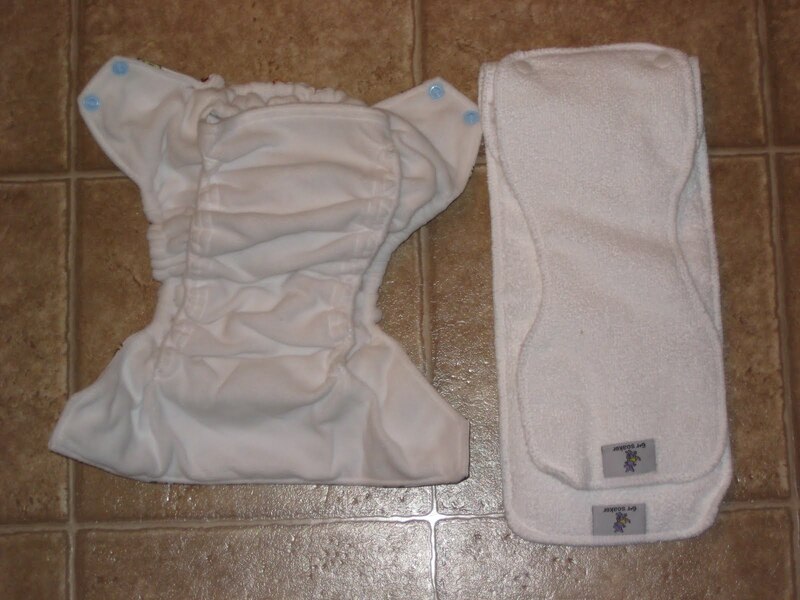 He had his first poop in it yesterday and I liked that it “stuck” to the inner gusset rather than the outer gusset; that made the spray-off easier than some of our other diapers.